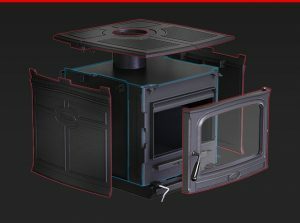 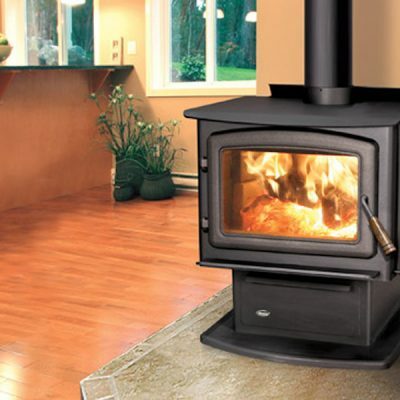 The largest wood stove in the Alderlea line up, the T6 is the solution for heating large spaces with wood, even through long winter nights. 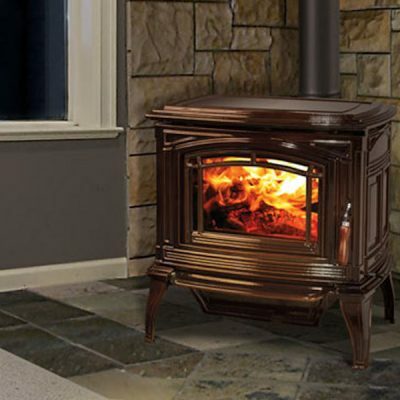 It’s crafted for maximum wood heating capacity, with Extended Burn Technology (EBT) for over-night burn times, and features a family-sized cooktop and a huge glass window. Like all Pacific Energy woodstoves the T6 is engineered and warrantied for a lifetime of comfort heating with wood. 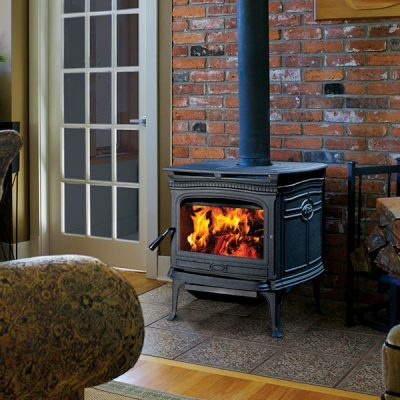 Until Pacific Energy pioneered the Alderlea line, and its revolutionary iron-wrapped steel firebox, a cast-iron stove was just that: cast iron. 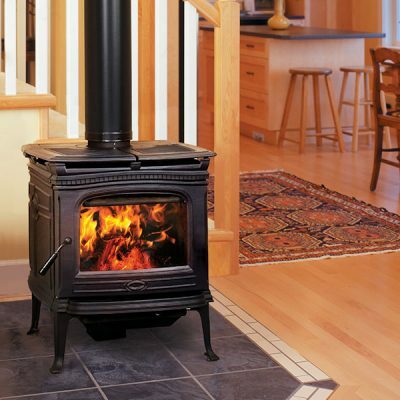 The Alderlea design makes the most of each type of metal: the steel stove and floating firebox is free to expand and contract, and its design maximizes convective wood heat efficiency, while the cast iron exterior provides radiant heat. 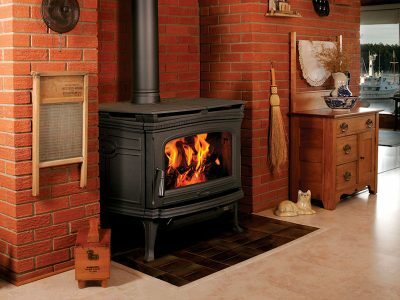 Metal fatigue is no longer a factor, allowing Pacific Energy to offer the industry’s first lifetime warranty on a cast stove.